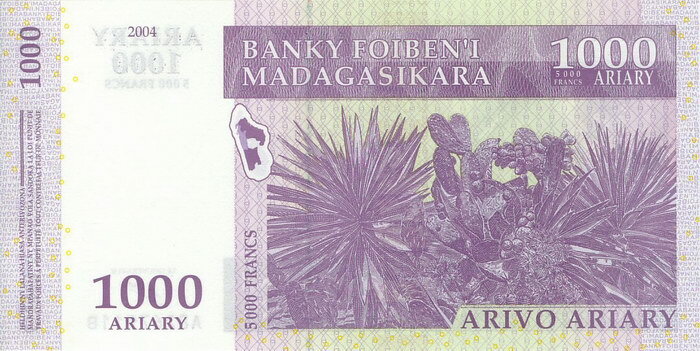 A Malagasy Ariary banknote issued by the Central Bank of Madagascar for the changeover from Malagasy Francs to Ariary as the official national currency in 2004. On the front of the 1,000Ar note are images of sisal plants and Opuntia cacti. 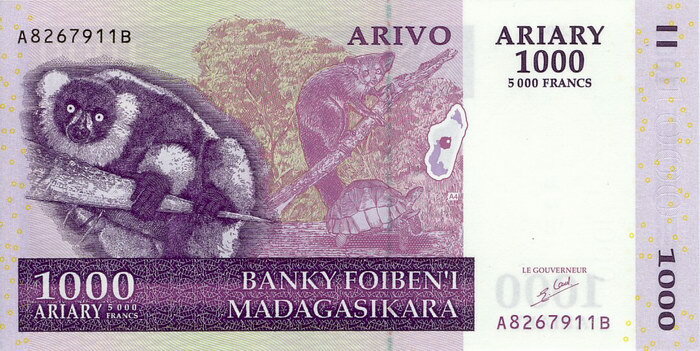 On the reverse is a selection of Madagascar's fauna: a Black-and-White Ruffed Lemur (Varecia variegata variegata), an Aye-Aye (Daubentonia madagascariensis), and a Ploughshare Tortoise (Geochelone yniphora).